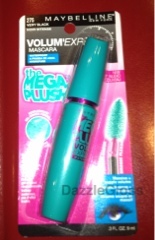 Today I will be reviewing this fairly new product from Maybelline which is Volum'Express The Mega Plush mascara and the one I have is the waterproof version. Gel-mousse formula. 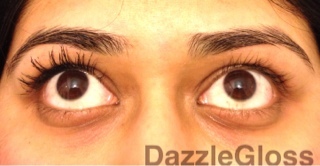 Contains 40% less hard waxes for massive yet supple lashes, never stiff, never brittle. 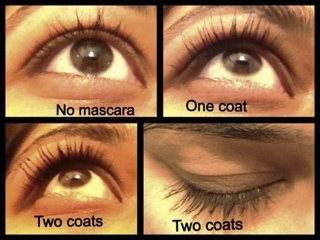 Patented flexor brush coats every lash with supple volume. The wand has a bend which is very flexible and is supposed to be easier for application. 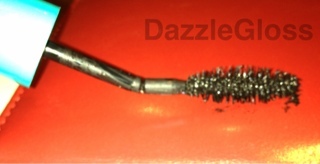 The brush has fine plastic hair like bristles, which are meant to coat each lash with equal product. 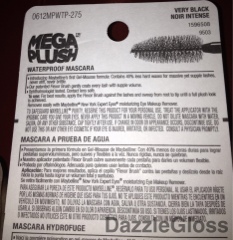 I bought this product for $16.67 at My Chemist as they were having a 15% off Maybelline sale. In Priceline it retails for $19.95. The brush is spikey and the bristles flimsy, because of the flimsiness the brush it is difficult to coat each lash with equal product. No doubt this gives me length but no volume. And coating too much on gave me spikey lashes. 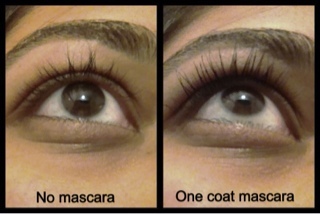 One coat of mascara gave me a little darker lashes but not much volume. Two coats made my lashes stick together and made them all spikey. I had to brush through them with a comb to seperate them. 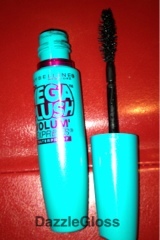 If you are looking for a volumising mascara I would say this is not the one for you as it only provides length. The waterproof formula stays put for about 12 hours but does flake a tiny bit. It will take a lot of makeup remover to get this stuff off. Even after curling my lashes this did not hold on to the curl and made my lashes all straight and spikey. The formula is great but the brush plays an important role in application. Overall I think this is a good mascara if you want a really natural look just to give a bit of colour to your lashes and make them visible. I would not personally buy this again as I need volume from my mascara but I think if I use this formula with another brush it may work well. I will give that a go and see what it does. But if you are paying around $20 for a mascara I think you could be better of buying the Flared Falsies or Colossal which has a sturdy brush and gives more control.